Hidden away from the hustle of Knightsbridge, The Capital Restaurant is located in the inconspicuous Capital Hotel behind Harrods. At this serene restaurant, one can find many luxurious dishes on the menu, such as the crab & truffle omelette and lobster dishes. The food at this restaurant was expertly produced and the service was impeccable. I was particularly fond of the intimate ambience of the dining room. The bill could be quite hefty for dinner, so an option is to go for their set menu at lunchtime which offers similar courses at much reduced price! 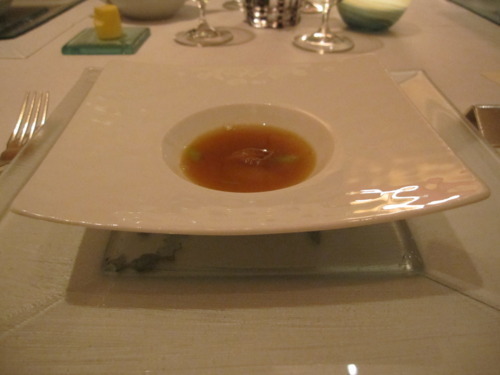 (1) The amuse-bouche was a small portion of chicken broth. It could have been slightly less salty, but the flavours were spot-on! (2) I had the Ravioli of foie gras for starters, and it was without a doubt one of the best appetizers I have ever had in London! 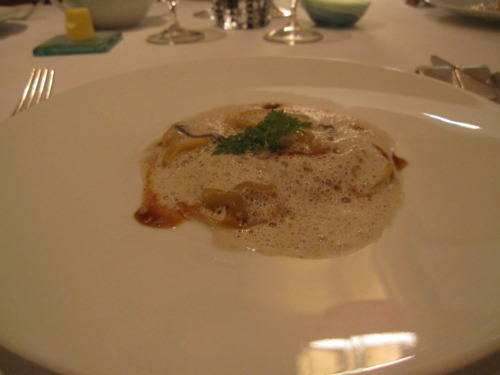 The foie gras was rich and flavour-packed, and the ravioli was sumptuously smooth! 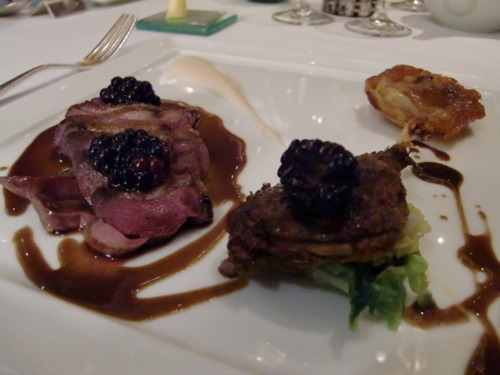 (3) After that, I was presented with the Breast of guinea fowl for my main course, which was also impressive and delicious. The kitchen was definitely on form when I went! (4) We were not too hungry that day, so we skipped the desserts. 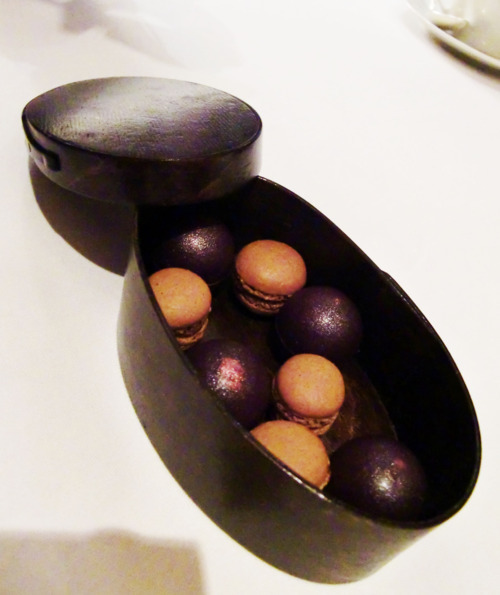 For the Petit fours, we got these lovely Mini Macarons in a box! No wonder this has quickly become one of my favourite restaurants in London!